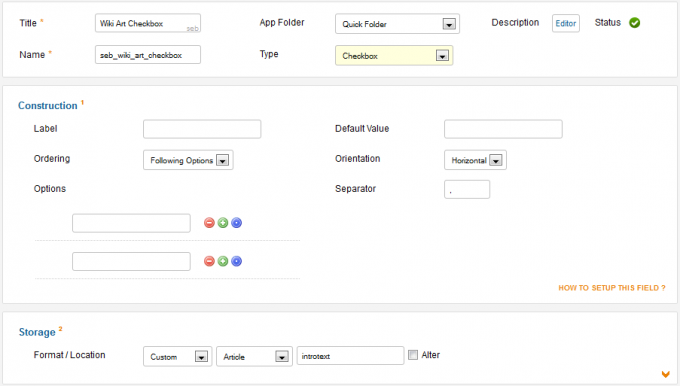 A field "checkbox" is a list of boxes (On / Off) to check, providing to a user multiple choices. Each choice offered by one of these boxes is an option. A field "checkbox" must contain at least one option.